Jim Walmsley approaches the top of Mount Sentinel on Monday. Photo credit: Myke Hermsmeyer. Jim Walmsley has been back in Montana, racing at the Bridger Ridge Run and beating his Mount Sentinel Hill Climb course record outside the race. 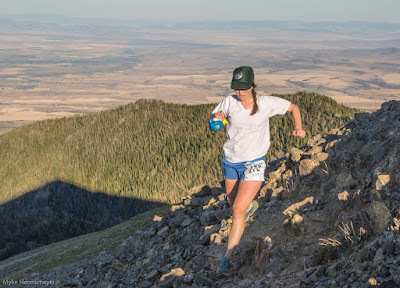 But did the former Black Eagle resident, who now lives in Arizona, set an FKT on Missoula’s iconic mountain? Photographer Myke Hermsmeyer, who has been documenting Walmsley’s runs, was back in the state as well and contributes to this week’s Trail Shots. At Saturday’s Bridger Ridge Run, Walmsley was the fastest man in just over 3 hours 14 minutes. The course is roughly 20 miles, depending on the route runners take down from Bozeman’s “M,” with 6,800 feet of elevation gain and 9,500 feet of loss. Walmsley told Montana Trail Crew’s Jimmy Grant he was unsure of the course on an unmarked section - the double fall-line descent from Sacagawea Peak - so he turned back and waited for the second-place runner. Back in June, Walmsley drew a lot of attention after running most of the Western States 100-Mile Endurance Run at record pace, before being swept downriver then running off-course and finishing in 20th. Bozeman’s Chase Parnell was second at just over 3:28, which bodes well for his upcoming Run Rabbit Run 100-mile race. On the women’s side, Bozeman’s Kaitlin Macdonald finished in just over 4:00. Jim Walmsley rests after his run up Mount Sentinel on Monday. Photo credit: Myke Hermsmeyer. 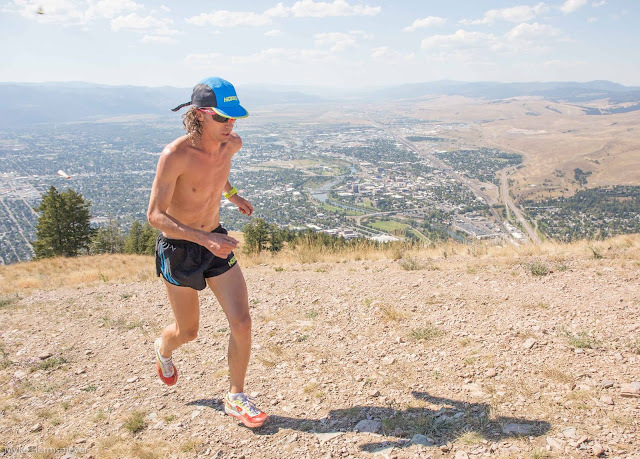 Two days after the Ridge Run, Walmsley made his way back to Missoula, where he set the Sentinel Hill Climb course record of 19:52 in 2014. In 90-degree heat Monday, he ran the course in 19:45, reaching the “M” in 6:06, Hermsmeyer wrote on Instagram and Facebook. The posts prompted a discussion about whether Walmsley set an FKT up Mount Sentinel. The race from the trailhead at the bottom of the mountain, up the “M” Trail then the northwest ridge to the top covers about 1.6 miles and 2,000 feet of elevation gain. While Walmsley beat his record Monday, some noted that former University of Montana runners David Morris and Scott McGowan were both known for their speed up Sentinel, the course start has changed and record-keeping hasn’t been the best. "The course has had different start lines over the years," Tim Mosbacher wrote. "David Morris started on campus for his time of 20:02 in 1994. His time from the bottom gate was ~19:15." Morris is a former U.S. marathon record holder and still has the UM 1,500-meter record, and McGowan was Montana’s first sub-4:00 miler. Cynthia Arnold of Polson holds the women’s Sentinel Hill Climb record at 24:10, set during this year’s race. She held the previous record at 24:29, from the same 2014 race as Walmsley’s record. Here’s the MTC guide to the Sentinel Hill Climb. 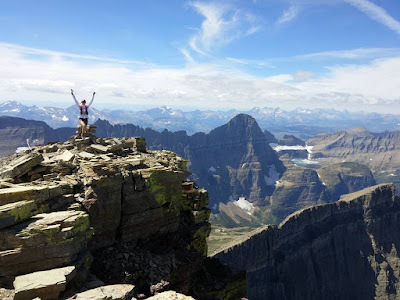 Jess Zephyrs and Dan Stone summited 10,000-foot Mount Siyeh between Siyeh Bend and Sunrift Gorge while in Glacier National Park last weekend, encountering two grizzly bears near the top. “The Siyeh Pass Trail is fantastic but can get busy mid-day on the weekend,” Stone wrote. Training for The Rut 11K, Jennifer Grigg went up St. Mary Peak in the Selway-Bitterroot Wilderness on Sunday. The stats - just over 7 miles and 2,400 feet of gain between 7,000 and 9,300 feet - closely match the 11K.